alibrisbooks has no other items for sale. Eyewitness to World War IIbrings you closer than ever before to the greatest challenge a generation of Americans had ever faced. The unforgettable story of World War II is told through the words of those who lived it--both on the battlefield and the home front--creating a dramatic tapestry of the wartime experience. Personal writings and recollections of Roosevelt, Hitler, and Patton, as well as letters composed by soldiers at battle and diaries of women serving in the military at home, present an absorbing narrative that tells the entire history of the war from several perspectives. 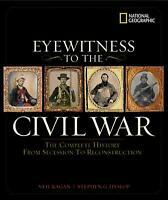 Hundreds of images capture fateful moments of triumph and defeat that defined the era, including rare photographs and artifacts, many never-before-seen from private collections that are placed in context with more famous photographs from the period. More than 20 authoritative National Geographic maps detail military movements and decisive battles in the European and Pacific theaters of war. 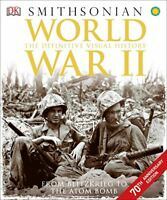 These incredible, first-person stories, amazing moments of heroism, compelling imagery, and illuminating maps bring the entire history of World War II to life in vivid detail. Sales tax may apply when shipping to: CA(7.25%), CT*(6.35%), IA*, MN*, NV(6.85%), WA*. NIce gift This book was a gift for a friends son who collects WWII memorobilia and he liked the book.